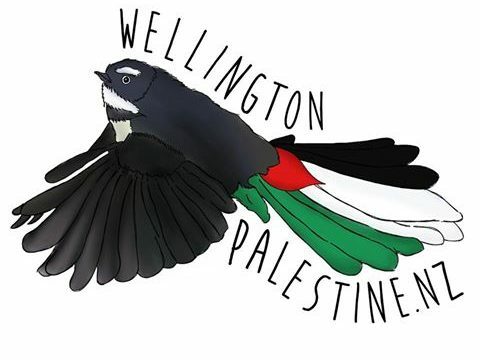 There is a warning for New Zealand in the ascendancy of the Zionist wing of the British Labour Party in successfully banning substantive criticism of Israel within its ranks. The Labour Party (UK)’s official position is that any description of Israel as ‘a racist endeavour’ is ‘anti-Semitic’. In other words, anyone accused of ‘picking on Israel’, a frequent attack on supporters of Palestinian rights, will not be allowed to defend themselves by stating that the unique foundation of Israel was the mid twentieth century total expulsion of the great majority of Palestine’s indigenous inhabitants to make way for Jewish immigrants who believed they had a greater right to live in Palestine than people born there. That was the stated and clear aim of Israel’s founders, such as Ben-Gurion, but to quote them now in the British Labour Party would be to invite expulsion. Indeed advocates of the ban see it as a stepping stone to making criticism of Israel illegal under law as well. The New Zealand Labour Party too has for a long time harboured the most ardent Zionist sympathisers. David Lange, for example, considered the defence of Israel was a Middle East bottom line. Helen Clark, in contrast, stood up for Palestinian rights, almost alone among her fellow MPs. In line with moves throughout Labour Parties the world over, there is likely to be an effort here to impose the same gag inside the New Zealand Labour Party. One can only hope that when this happens its members will be enlightened enough to see through the identity politics identification of the Zionism protection campaign and give it the short shrift this defence of racist Israel deserves. And if writing this means I can never join the Labour Party (UK) then I will not be losing sleep in disappointment. Meanwhile, the Israeli Supreme Court judgment to approve the destruction of the West Bank village of Khan al-Ahmar and evict its residents is a predictable outcome of the consolidation of the overt fanaticism of the Israeli government and the license given it by the Trump White House. The Palestinian inhabitants are to be expelled to a rubbish dump. Any transfer at all is clearly illegal transfer under international law. The demolition is to allow another stranglehold expansion of equally illegal Israeli settlements and to divide the West Bank in two. Not to be left behind in Israeli chauvinism, the Israeli government has stated its intention to bomb what is considers legitimate targets in Iraq, creating an increasingly large free-fire zone in the Arab World, adding to Syria, which has become just about everyone’s free-fire zone. Israel, predictably, is quick to claim the right to defend its own borders, and, at the same time, violate the borders of others with impunity. It’s a classic case of might is right. But criticism of the Israeli government is coming from unprecedented quarters. The Editor for 35 years of the US Zionist spear carrying magazine New Republic, ultra-Zionist Martin Perez has just described the Israeli ‘Nation State Law’ as ‘odious’ and ‘a catastrophe’ in the New York Times. He fears that the new laws codifying Zionist exclusivity in Israel will extend the West Bank undemocratic paradigm of occupation (not that he calls it that) into Israel itself.